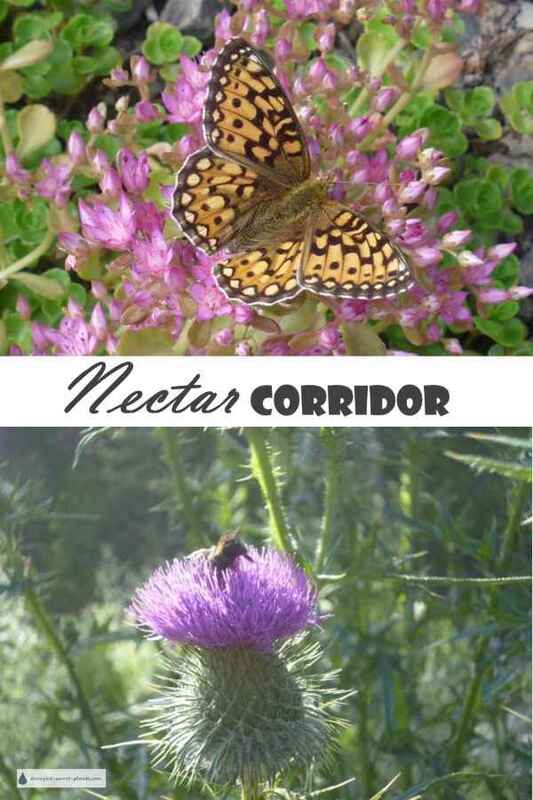 Butterflies and other pollinators will follow a nectar corridor in their migrations - help them out with your very own nectar corridor. Building a nectar corridor or butterfly garden will help butterflies and other pollinators who need nectar to live on while they're searching for a mate or somewhere to raise a family. Bees, especially the native solitary bees are endangered due to habitat loss and climate change, so plant some plants for bees too. Sometimes, it not even necessary to actually build anything; any open ground will soon flourish with native plants, even many years after. The seeds of thistles, mullein and asters, some of the favorite flowers for pollinators, will remain dormant in the soil for decades, only to germinate when conditions are right; Nature abhors a vacuum, and this means covering the soil to protect it with pioneer species. 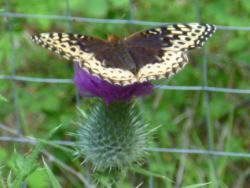 You have only to stand back and let nature provide exactly the right plants to attract some fantastic butterflies. Many beneficial insects, when they're not feasting on prey insects, will seek out nectar from many flowers in your garden. During their migrations, butterflies require many landing spots where they can refresh themselves and find food, so if you can provide a small area of flowering plants of the right kinds you'll attract many in their travels. There is nothing more beautiful than a warm summer day filled with butterflies happily visiting your many flowers and humming with the activity of pollinators. If you remember that butterflies have large wings and long tongues you can pretty well identify which flowers will be suitable. Any flower with a large open shape such as Achillea, Echinacea or Rudbeckia will be suitable as a landing platform. Tubular flowers will attract hummingbirds more than insects, but don't let that stop you from choosing Penstemon or Aquilegia. French marigolds and cosmos are renowned as self seeding annuals to attract butterflies. 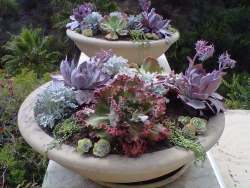 Others include poppies, allysum and lobelia. 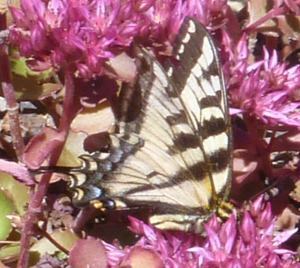 Flowering shrubs such as Syringa, the common lilac are a big hit with Swallowtail butterflies. Choose a wide variety of annuals, perennials and shrubs and include some native wildflowers and you'll be sure to attract many different 'flying flowers'. 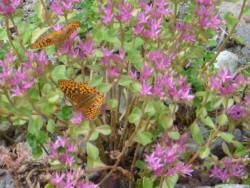 See the 10 Best Perennials for Butterflies I recommend to attract butterflies to your garden. Caterpillars are the larvae of butterflies, and although they are sometimes seen as destructive pests, in most cases the damage is short lived and buterfly food plants they feed on recover with new growth. Plant more than what you need for your own use, and leave some for the caterpillars. Some annuals that are reliable for self seeding are parsley and dill. These are an important food source for Anise Swallowtail butterfly caterpillars. Many perennials such as Asclepias tuberosum and other kinds of butterfly weed are the only food source for Monarch butterfly larva. Shrubs that attract some butterflies to lay eggs on are willows, the Salix genus. Many willows are well behaved and not invasive, and in particular, the native willows are very attractive both to butterflies and other insects. Birch trees are a favored host plant to Pale Swallowtail butterflies - the larvae roll up a leaf for protection against predators. 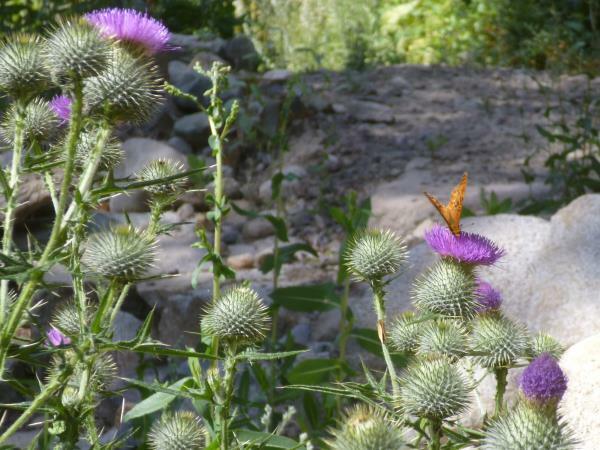 Some plants that we call weeds are valuable nectar sources, such as thistles and nettles. If you can find a corner of your garden for these, the butterflies will thank you! Remember that using pesticides, but especially BT, or bacillus thuringiensis, to kill - you guessed it - caterpillars, will also kill your beautiful butterfly larvae, so lighten up your approach to accepting the damage caused by their feeding especially in your nectar corridor. Handpicking the undesirables is much more environmentally friendly. Another way to attract butterflies to your nectar corridor is to provide a 'puddle', which preferably will be composted manure mixed into a slurry with water and placed in a shallow plate or painted on rocks. Male butterflies in particular will seek this out for the sugars and I've seen places where there are hundreds at one time, vying for a spot. You can get a good look at the proboscis, or tongue as they drink blissfully. If you can convince all your neighbors to do their part and designate a corner of their garden as wildlife habitat too, you'll create a nectar corridor that will attract many more butterflies than any single garden. Plant many different butterfly nectar plants to give them more habitat, safe traveling routes and food sources and spreading the beauty around.